We are proud to offer bottled water that is chlorine-free and quality tested for over 171 organic and 44 inorganic chemicals. Our stringent testing and rigorous filtration process help us to provide you with the very best tasting water—from the first satisfying sip to the last crystal clear drop. Learn more about our process. 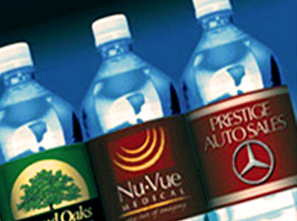 delivery for home or business, put your logo on the bottle with a custom printed label. sourced from Florida’s deep underground springs. LIVIE® offers high quality products at very competitive prices conveniently delivered right to your door. Advertise your business or offer special discounts or promotions on your custom printed label. Treatment at our facility includes, Micron Filtration, UV Sterilization and Ozonation for great tasting water. Go paperless with LIVIE® It's Fast, Easy and FREE! Pay your bill online with your major credit card. Enjoy Dependable & Afforadable Delivery Service! Discover the ultimate in convenient refreshment with LIVIE® Delivery Service. 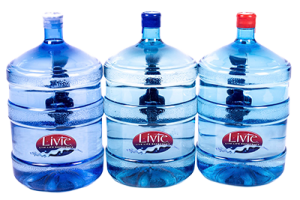 For over a decade, we’ve hand-delivered our delicious LIVIE® Brand Natural Spring, Purified and Distilled 5 gallons at a time to thousands of customers throughout Central Florida. Register now to receive FREE products on your first delivery. The best water we've had so far! Quick delivery and great pricing. What a great find this company has been. 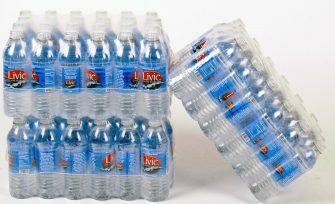 There may be bigger players in the bottled water business but I wouldn't use anyone but Livie Water. They provide custom labels for bottles and 5 gallon jugs to our offices. Buy from a company that cares about how it's made. They provide the best service in the industry, period. Truly a great group of people. Best water and customer service. Enjoy doing business with this company. 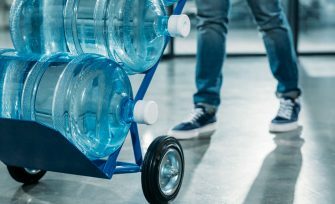 I've tried several of the other delivery services and the delivery either wasn't reliable or the water had an after taste. Livie water tastes fresh and they have never missed a delivery. I've moved twice and have been able to take them with me each time. I highly recommend them! Our manufacturing process is done to ensure quality and great taste. Bottled water products labeled as spring water must come from protected sources, which are monitored frequently. Our bottled spring water is protected by a multi-barrier approach. This approach consists of protection and monitoring at the source, as well as, treatment at our facility which includes, Micron Filtration, UV Sterilization and Ozonation. 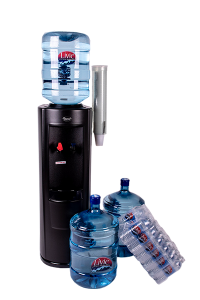 LIVIE® bottles and coolers are equipped with the amazing WaterGuard® system! 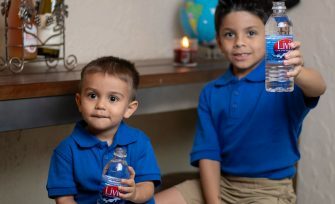 Drink LIVIE® Brand Bottled Water—and Live Life Refreshed. Special Introductory Offer For New Customers! For a limited time, register below and receive FREE products on your first delivery when you sign up for home or office delivery with LIVIE®. Introductory offer valid for new customers only with approved credit, who are located within our delivery area. Refundable bottle deposit required. Offer available for a limited time, no cash value, subject to change or cancellation without notice. One offer redemption per residence or business address. Other restrictions may apply. LIVIE® is a brand of Aqua Pure, LLC. For a limted time, register below and receive FREE products on your first delivery when you sign up for home or office delivery with LIVIE®.